The various methods and methodologies used to create experiences and encounters of uncanny justness, require careful and reflexive work in the world, within real world contexts and situations. To begin this work individuals or groups work carefully to distill and ask themselves the question of what requires transformation? What warmth or catalyst could they apply to a difficult, oppressive, normative or unjust situation. Small acts are devised and tried out. Carefully attention is given to the reflections of participants, what is observed or prioritised is not so much their critique of the work, but rather what was their experience, how did it make them feel? What moved or didn't move within them? How did this small action potentially open up new thinking or insights. Uncanny Justness works strongly with practice-based expansive and experiential research. Below are some examples of small actions. The mountain on a train was devised in the build up to the Listening Train/Climate Train project. It emerged from a deep phenomenological encounter with coal trains and their role in a bigger picture of extractive mining and its influence on indigenous people in South Africa. 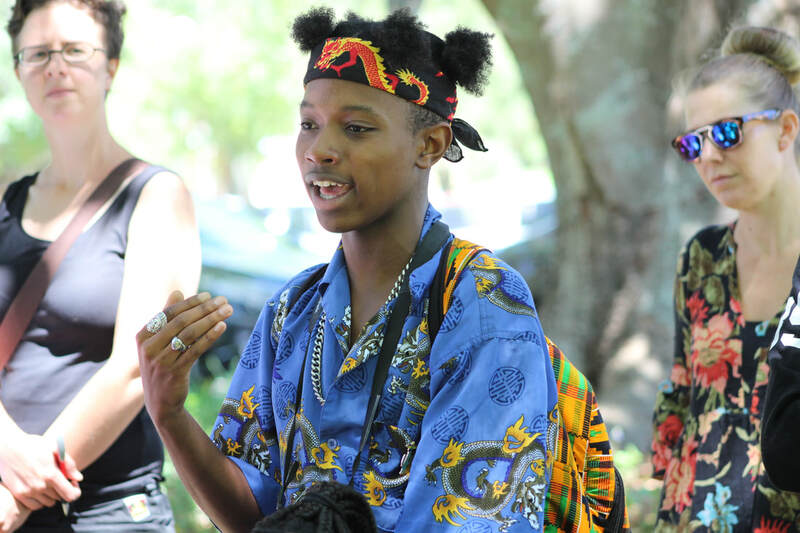 This small act formed part of the development of a larger creative social learning project that toured South Africa over three months in the build up to COP17. Below is a video from a series of short films on youtube that track the the large Climate Train project that emerged from this initial small act. This small act has been distilling for over five years. It a kind of ‘homeopathic’ water remedy that has been potentized through a social learning process with various citizens around the world. Water is gathered from significant sites globally (so far it contains water from Lourdes, France, The Ganges, India, The Bermuda Triangle, the Drakensberg, South Africa, the Carribean sea, sacred Lluc river in Spain, Mozambique, Oxford, UK, Maine USA, and seventeen selected sites of water struggles in South Africa). 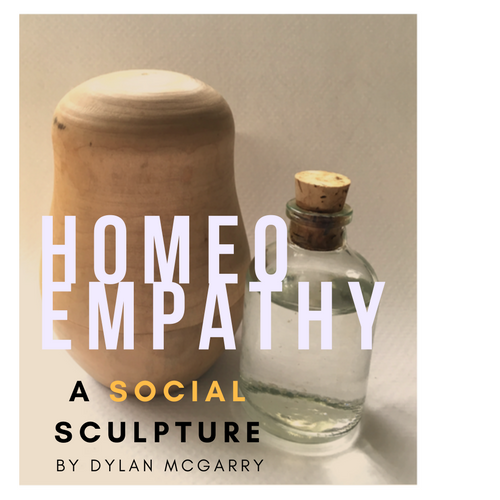 The remedy is a connective aesthetic or visual/physical embodiment of the shared ecology we occupy, and also an embodiment of the water that flows through all life and every ecosystem. The process consists of an empathetic exchange and thought experiment that explores both the universally connective quality of water, but also the capacity we all have to hold and carry water (being over 80% water ourselves). We explore the idea that we are all vessels, i.e. custodians of water, and therefore responsible custodians or ecological citizens. Considering this the participants, in this case the students, participate in reflexive exploration into idea of water flowing through all life, the great equalizer and molecular glue of ecology. The poet Kabir reminds us that “the river that flows through me, flows through you” and John Muir says: “All rivers flow through me, not past me”. This experiential placed- based process, allows students to bridge the gap or ecological apartheid we experience between human and nature, and to consider the powerful effect we have to transform the conditions that shape our lives, in the way that water shapes and sculpts geology, biology, politics and culture. This project while practical in exploring water ecology, hydrology, and examining environmental justice issues, such as the activism around big dams in India and China; the process is also ceremonial, it is a kind of ‘Hippocratic oath’ for environmental scientists, a prayer to do-no harm, to be a ‘careful-scholar’ or a ‘responsible participant’. 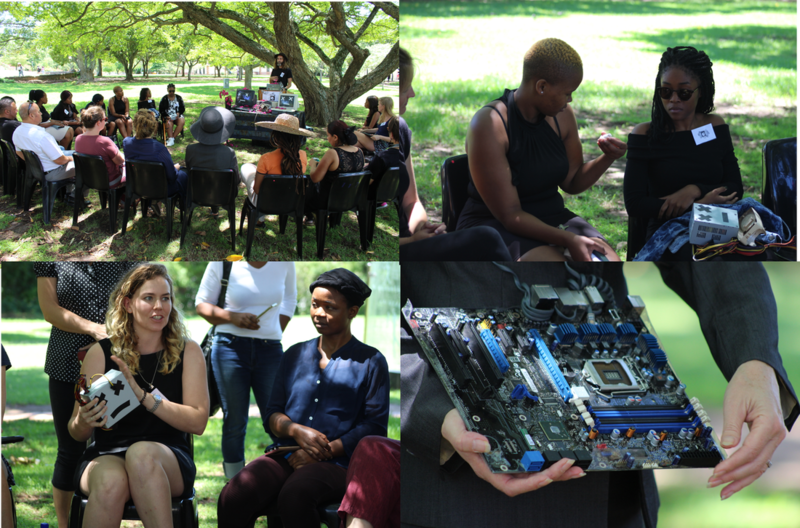 The e-waste funeral was a small action recently undertaken (Feb 2018) as part of a practice based enquiry into the future of Africa and e-waste dumping. 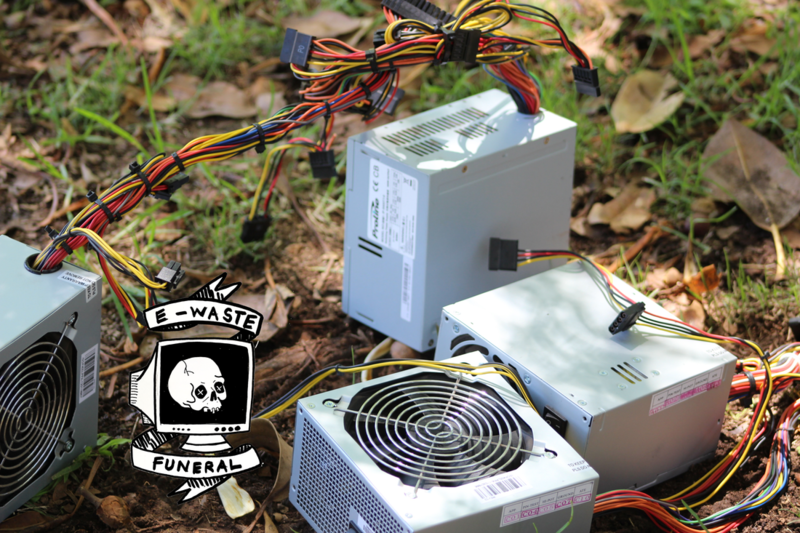 ​An unconventional funeral was held – not for a person, but for pieces of electronic waste. Old computers and their components, outdated satellite television decoders, a yellowing scanner and clunky fax machine were among the e-waste given a formal send-off. But there was nowhere to send them – and this was one of the central themes of the event. 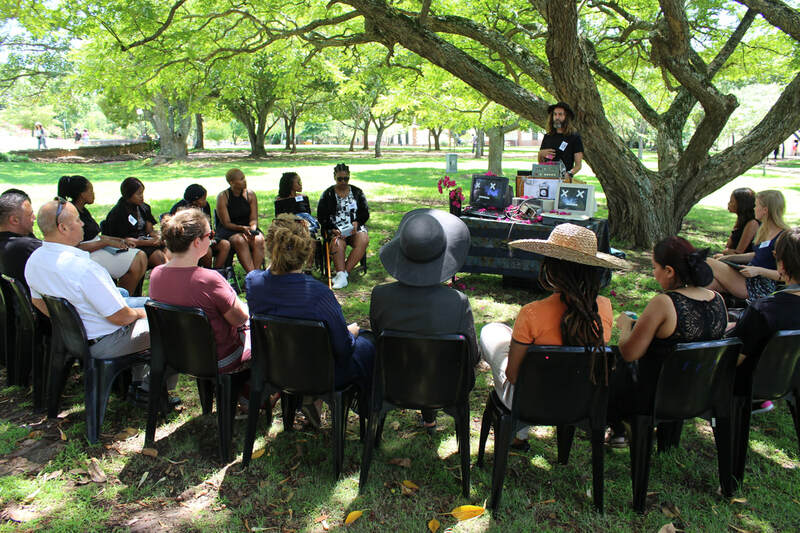 The e-waste funeral, which was attended by more than 30 mourners, many dressed in black, was the culmination of a week-long social sculpture project run by the Environmental Learning Research Center (ELRC) at Rhodes. The idea, explained Dr Dylan McGarry, a post-doc fellow in the centre and one of the key organisers of the event, was to start conversations about the e-waste crisis facing the world, and African continent in particular. E-waste is notoriously difficult to dispose of or recycle safely, containing toxic substances like lead, cadmium, mercury and arsenic – with serious potential ramifications for human health and the environment. “We might throw away our old phones and laptops, but this illusive ‘away’ does not actually exist,” said McGarry.